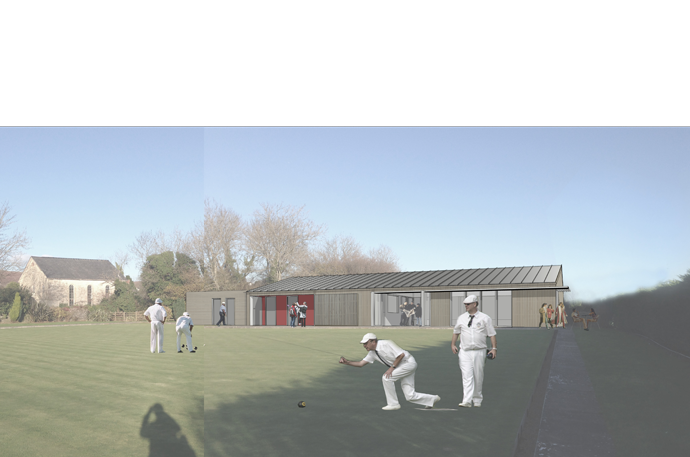 Coombs Jones were appointed to carry out design advice for a new club house for Pentyrch Bowling Club. The new pavilion, replacing poor quality temprary accommodation, had potential for great views across the bowling green to the west and the Severn Estuary to the south. 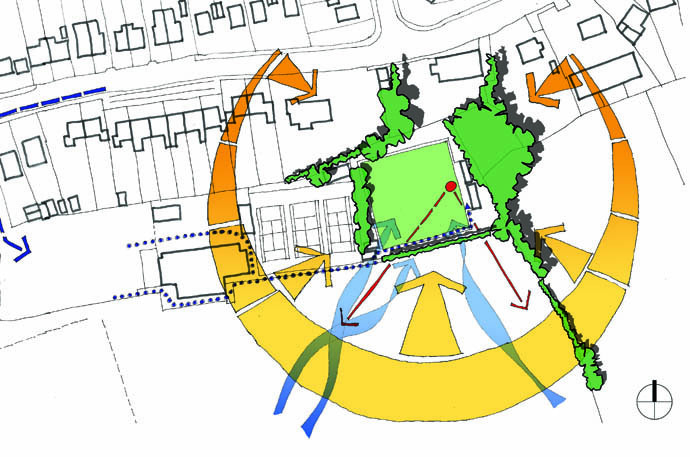 Our approach was to appraise an existing proposal, exploring options for its design, sustainability and construction. The aim was to make the pavilion a centre for the local community and a cost effective, low carbon facility. A function room opens out to the south and west, while changing facilities open to the bowling green. A service hub to the rear of the building provides a kitchen and storage spaces.